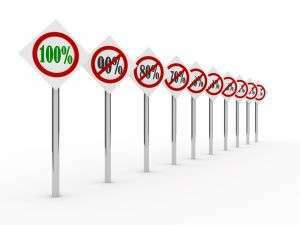 The Sinclair Method (TSM) has an estimated success rate of 78%, which exceeds all other treatments for alcohol use disorders by a long shot. Even so, this means that 22% don’t have success for whatever reason. I say this not to dampen your excitement, but to be sure that you understand that no promises or guarantees are being made about your treatment outcome. That being said, the data and my work with hundreds of patients support my expectation of success for the vast majority of people who follow the exact requirements of TSM. Not taking Naltrexone 100% of the time prior to drinking. After the first appointment, your Naltrexone prescription will be sent electronically to your pharmacy. You will receive thirty 50 mg tablets. You can pay for the prescription with your insurance or pay out of pocket. To find the least expensive price for Naltrexone in your area go to GoodRx.com. If maximizing your privacy is a concern, one option to consider: Don’t fill the naltrexone at the same pharmacy you fill your other prescriptions. Food. Just like the brain, our gastrointestinal (GI) tract has opioid receptors that are affected by Naltrexone. For this reason, GI side effects such as nausea, vomiting, and diarrhea are the most common side effects of Naltrexone. Most likely, you won’t have a side effect at all, but if you do, upset stomach will probably be it. In order to minimize this risk, please take the Naltrexone with a full meal until you know how it affects you. Half tablet initially. It is highly recommended that you take a half a tablet (25 mg) the first two times you take Naltrexone. This introduces the new medication to your system slowly and reduces the likelihood of adverse effects. If, after two doses, you feel comfortable, go ahead and increase to the full dose (50 mg). If, after two doses, you are still having any uncomfortable side effects, continue to take a half tablet (25 mg) until the side effects go away. Take the medication at least 2 hours in advance of drinking, not 1 hour, for the first 30 days. Lunch is a good time for most people. As your brain’s interest in drinking diminishes, you can transition to 1 hour prior to your first drink. 04. TRACKING YOUR ALCOHOL USE. You’ll want to keep a daily log of how much you’re drinking. Standard drink sizes are below. Beyond potential side effects, there are two safety issues with Naltrexone that you should be aware of. You can still become impaired and you can still get a DUI/DWI. 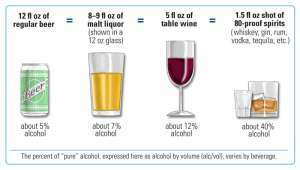 Naltrexone does not affect your Blood Alcohol Level (BAL), so on a drink-for-drink basis, your BAL will be the same whether you’ve taken the Naltrexone or not. Naltrexone does not prevent the motor incoordination, slurred speech, loss of balance, or other impairments caused by alcohol. Do not take opioids while using Naltrexone. Naltrexone blocks the effectiveness of opiate pain medications. If you need a medication such as morphine, oxycontin, or vicodin and you’ve taken Naltrexone, the opiate medication will not provide pain relief. Let your provider know of your most recent use of Naltrexone prior to any surgery. Your second appointment is typically 15-30 days after your Initial Evaluation. You will need to be seen again for refills. Because the schedule can be booked out 2-3 weeks, it is highly recommended that you make your first follow-up appointment today by pressing the button below, otherwise you may run out of medication. Please help others learn about the Sinclair Method through social media. You can find SinclairMethod.Org at the links below.